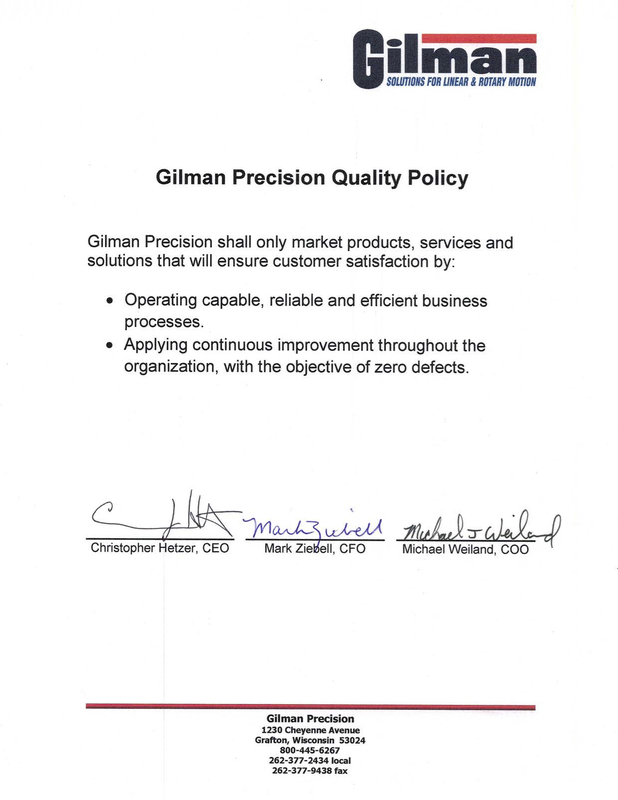 Gilman’s precision linear stages — also referred to as translation stages or machine slides — are known internationally for their durability and dependability. Trusted across a wide range of industries (for example, you can find Gilman slides in the medical, metrology, aerospace and automotive testing industries, just to name a few), these manual and motorized stages are designed to tackle both low- and high-speed applications, as well as cycle applications. They’re also relied upon for their accuracy, dampening and rigidity – especially when positioning is important. 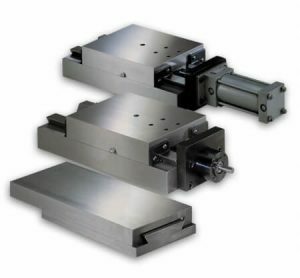 Gilman designs and manufacture three types of linear motion slides: dovetail, linear guide and hardened box way. Materials: cast iron (standard), aluminum, stainless steel and plastic. Coatings: can be individually specified to meet environmental requirements. Options: there are many types of drives and accessories. Whether your end application is a special machine or an OEM product line, Gilman can assure you responsive engineering, precision manufacturing and prompt, efficient after-sale service for all of our linear motion systems. A linear stage designed for precise, low-friction linear movement. Ideal for CNC and laser-machining centers; drilling, grinding and material handling machines; industrial robots and medical and optical equipment. Available in roller or ball style designs. 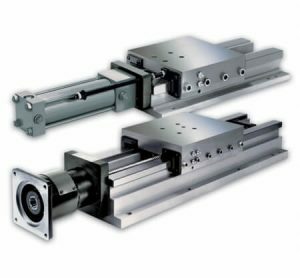 Hardened box way slides are effective and economical precision motion solutions commonly used for stand-alone machines, shuttle devices, and general feeding applications. 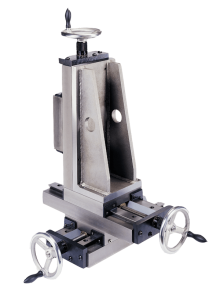 These linear translation stages are perfect for high-production and heavy-duty applications. These stages accommodate greater complexity needs. With two or three additional axes, you have many options regarding the purpose, powering source, saddle adjustments and other specifications of the lower and upper axis. 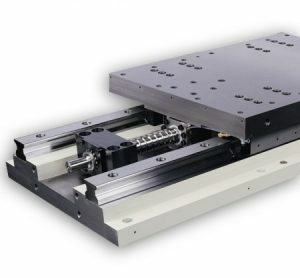 Dovetail precision linear stages provide simple and cost-effective solutions for precise movement and tooling positioning. Made from close-grained cast iron. Can be drilled, tapped or machined to accommodate specific mounting. Available in low-profile, high-profile, next day, cylinder-powered and custom designs. 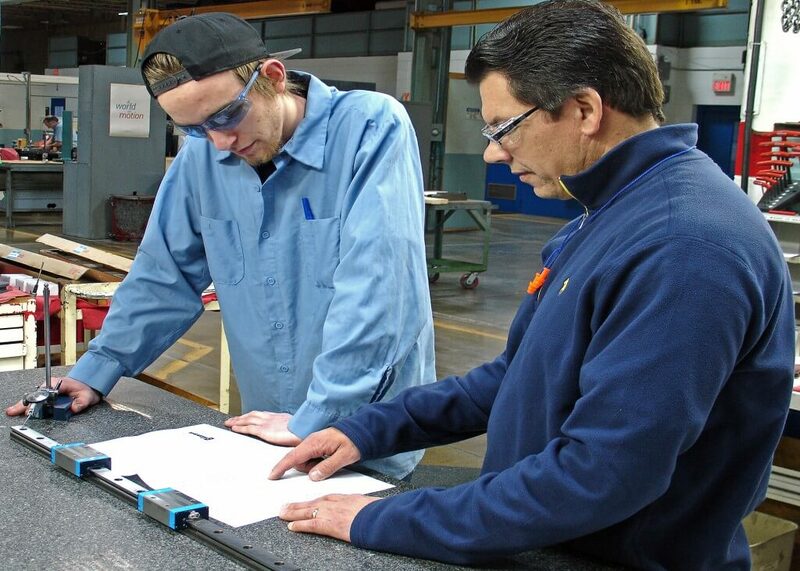 Gilman manufactures arguably the most accurate and efficient grinding machines in the world (our Favretto Grinder grinds all surfaces of a machine slide in one setup, ensuring the slide is flat, parallel and perpendicular the first time). These machines are expertly harnessed by technicians with an average of 26 years of experience. What’s more, we keep our climate-controlled manufacturing plant spotless and our equipment well maintained, so we can hit exacting tolerances.